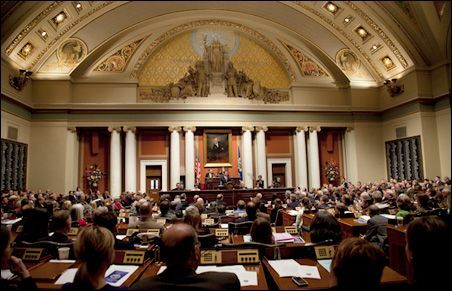 Anti-Gun Framework Bill Moving in MN — Take Action! Last week I told you about the new gun control bill that has been introduced in the Minnesota House. Because of the absolutely crushing defeat that anti-gun legislators took at the polls last November, anti-gunners are taking a “back door” tactic in their attempts to pass gun control in our state. I need your help to send a LOUD message to St Paul that gun owners are activated and mobilized and will NOT sit back and watch them cram through anti-gun proposals. The bill is House File 1393 and, if enacted into law, it would move the filing deadline to run in the Minnesota Primary as a candidate BACK INTO EARLY APRIL! This back-door attack will work against much more than gun rights, as they could use these new deadlines to advance any radical agenda that attacks your freedoms. But as bad as this would be in the House, it has far greater ramifications in the Senate further down the road. As you know, the Senate only has elections every four years (except after a census), whereas the House is every two. If the majorities were to flip in the Senate, this could have a devastating effect on our gun rights. Insiders are telling us that radical anti-gun Senators like Ron Latz and Dan Schoen are already drooling at the opportunities that a bill like this presents. It’s clear that Senator Latz will take full advantage of this incredible tool for gun control advocates and force through bills like Statewide Gun Registration knowing they will face no retribution for at least four years! This is nothing less than a four year “get out of jail free” card for anti-gun politicians in the Senate! You and I need to kill this bill before it ever leaves the House. That’s why I’m asking you to take a couple minutes and call your state Representative and tell them to vote No and kill HF1393 before it passes to the Senate. Tell them to oppose HF1393 in committee, and vote NO on the House floor! You and I didn’t go to the polls on November 8 and elect the current majorities so they could gain more power for themselves and pass back-door gun-control like HF1393. We gave them the majority to defend and ADVANCE pro-gun bills like Stand-Your-Ground and Constitutional Carry. We’ll keep you updated on this bill and others in the days to come, but in the meantime, stay active and stay mobilized, and make your phone calls right away! And if you can, please consider chipping in $25 or $15 or whatever you can afford to help us mobilize more gun owners across the state to help us fight this bill! P.S. HF1393 is a back-door gun control bill that would have a devastating effect on our gun rights if passed, especially in the Senate. With Senate elections only every four years, it’s the perfect opportunity for anti-gun legislators to pass radical gun control with no worry of retribution from voters – for at least four years! Please call your state Representative NOW and tell them to vote NO on HF1393 and kill it before it reaches the Senate. When you’re done, please consider chipping in $25 or $15 or whatever you can afford to help us mobilize more gun owners and push back on this gun control proposal!